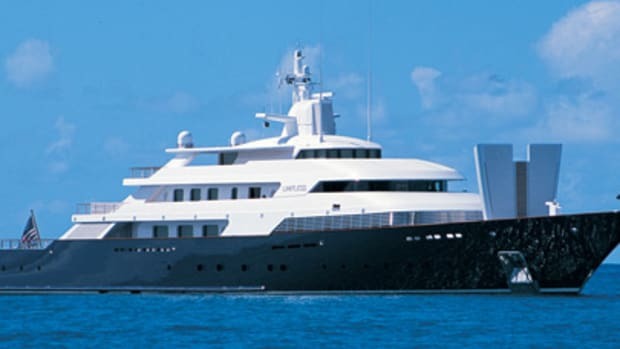 While Mduse had been for sale a while ago, she—along with about 48 miles of wiring and cabling for arguably the most sophisticated audio-video system aboard a yacht of her age—has been withdrawn from the market. She made an appearance in New Orleans this spring; no word on whether her owner, Paul Allen (see Octopus, no. 2) invited some of the city&apos;s notable jazz musicians onboard to use the music studio.